Ioannis Theodossiou (B.Sc. 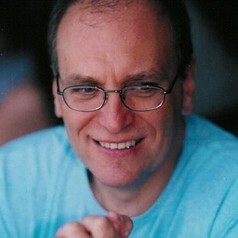 (Piraeus), M.Phil., Ph.D. (Glasgow)) is a Professor in Economics and Director of the Centre for Labour Market Research. He is a Fellow of the Royal Statistical Society. He has also served as a member of the Council of the Scottish Economic Society, a member of the University Council at the University of Thessaly and as an Adjunct Professor at the National Institute of Labour Studies, Flinders University Australia. His research focuses on issues related to the effect of socioeconomic conditions and unemployment on health and wellbeing, on the analysis of various issues relating to unemployment, working conditions and pay determination. His publications include a book, edited volumes, chapters in books and he has widely published research papers in leading peer reviewed academic journals. He has been a participant and project coordinator of a number of major European Commission funded research focusing on the socio-economic and occupational effects on health inequality, quality of life, job satisfaction and wellbeing, and health and safety at work.